Lady Abigail of Blackmore is being sent by her father to marry the vile Lord Shrewsbury in return for the release of her brother. 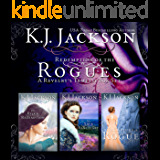 When a thief robs them on the road, she sees him as her opportunity to run from a life that no longer suits her. Madoc ap Powell has been raised as a peasant, knowing nothing about his true heritage. In order to survive, he has lived his life as a thief. He is known for his disguises, and being a master of illusion is his best skill. But when the Lady Abigail hunts him down to retrieve her stolen dagger, he finds that he is not the only one looking to escape a life of doom. And when she begs him to let her travel with him, she is very disappointed to find out that he is heading for Shrewsbury, the last place she wants to go. Madoc knows if caught helping her, he will once again end up in a dungeon, but something about her calls to him just as much as he makes her feel alive for the first time in her life. Two people, both looking to find the answers of their past are drawn to each other. But it is bound to end badly when they are from two opposite realms of life. A lady on the run and a thief need to escape from themselves before they are prisoners to the attraction they feel toward one another in Lord of Illusion. I real page-turner I enjoyed the story, loved the characters the entire journey through the pages was wonderful. I am hooked on Elizabeth Rose books at the moment. I like her writing style and characters. The Stories are those of which I enjoy in a movie. Believable with a hint of magic and fantasy. Madoc ap Powell is a master of disguise and a pretty good thief. Lady Abigail of Blackmore has the dubious honor of becoming the wife of evil (disgustingly so) Lord Shrewsbury in order free her brother. They are both trying to escape; he from an angry band of thieves, and she from a horrible marriage. When these two meet, sparks fly and trouble follows. 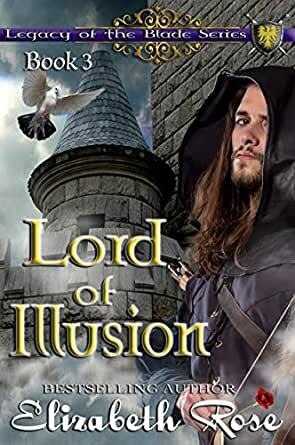 Lord of Illusion is an interesting story with engaging characters. There is plenty of action, danger, humor, secrets, and discovery. Madoc and Abbey have quite an adventure. I recommend you join them. Elizabeth Rose has out done herself with The Lord of Illusion. Madoc and Abby are wonderful together. I loved their strong personalities and how they complemented each other. Madoc is a thief wishing for a better life after visiting Castle Blake and partaking in several meals with the family. Abby is being forced to marry an "ogre" to free her brother from Lord Shrewsbury' s dungeon. She longs to be free to make her own choices. When Madoc crosses paths with Abby during a seamless incident, she runs away with Madoc. Hoping to find freedom from her forced marriage and far from Shrewsbury, Madoc unexpectedly returns there to see his failing mother. When Abby turns herself in to Lord Shrewsbury , she finds out her brother has not been treated well and attempts to escape with him. Meanwhile Madoc involves his "brother" in one of his escapades in wanting to see Abby. With so many twist and turns it leaves you wanting more. The characters are charismatic and so well suited. You will love them and be at the edge of your seat hoping everything will work for them. 4.0 out of 5 starsHe's a thief, she's a lady and they both steal each other's heart. Madoc' s adventures started the day he was born. Stolen from birth when his mother died, Madoc and his twin sister were raised by others who were not their parents, never knowing any different. Madoc was raised to be a thief, just like his mother. He joined up with a band of cut throats, but didn't' t like their ways. He left one night taking with him a jeweled dagger. He meets the owner of the dagger and it is love at first sight. Does true love ever run smoothly...no it never does. Read all about the adventures of Madoc and Abbey. You'll learn what it takes to become a master tailor and how to race homing pigeons. You'll learn how a thief uses his disguises to create illusions and protect the people he loves. Finally Madoc finds out who his true family is. Elizabeth Rose has done her best to give us a story that has a little something for everyone. Enjoy. I had a hard time staying with the book at first because it was different from her other books. Mardoc is not a swashbuckling knight but a common theft who has a passion for courier pigeons and falls in love with Lady Abbey who wants nothing to do with being a lady a all. It was a well written story that will have you laughing and crying. I loved how all the characters from the previous books came back together. The sexual content was clean. Looking forward to reading the next book. I couldn't put this book down and it was so good!! This book was a page turner and I love the characters and side characters in this story because it makes all come together!! Marco and Abbey were so good for each other and that is what made the story for me! !